We have pleasure to introduce you our reputed college of Olpad Taluka, Dist.Surat which was established by a freedom fighter, Co. Operative and Soscial leader late Shri Pramodbhai Kanaiyalal Desai, elder brother of late Ex- Chief Minister of Gujarat Late Shri Hitendrabhai Kanaiyalal Desai in the year 1991-92. The college is affiliated toVeer Narmad South Gujarat University, Surat and governed as per its rules and regulations and also Government Of Gujarat. Till 1947, there was not a single Secondary School in the taluka.To commemorate Independence, late Shri Pramodbhai Kanaiyalal Desai decided to establish Secondary education schools in the region. When this dream was materialized, need for higher education was felt. Since Olpad is the socially, economically backward , most of the parents could not afford to send their children to Surat and they had to leave the education after secondary school. Considreing these factors, Shri Pramodbhai Kanaiyalal Desai founded the college in the year 1991-92. The aim of Olpad college has been remarkably achieved and most of the boys and girls of Olpad taluka have been benefited. When the college was started, there were only 150 students, but today, the strength has reached to 2500. Ours is the only one educational institution in the whole Olpad taluka offering UG/PG degrees in Arts and Commerce. It is also observed that every year the number of students are increasing. The college also gets good results in all examinations. Our students are also performing well in the field of extra curriculum activities such as sports, culture etc. Educational seminars and lectures are also being arranged on different subjects. Shri surat jilla sahakari bank commerce college and shri sayan sahakarai khand udhyog arts college, olpad, dist. surat (Gujarat) is the only one higher educational, grant-in-aid institution in olpad taluka. since its inception in 1991, college has outstandingly progressed in all fields. The college was accredited ‘B’ grade by national assessment and accreditation council, banglore. (NAAC) college offers UG to PG & research (M. Phil) programmes in gujarati, history and commerce. 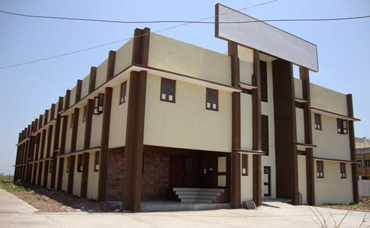 College provides all necessary infrastructural facilities and ensures holistic development of the Students. “To provide knowledge based, career oriented quality education In various disciplines and innovative learning practices to develop multi-dimensional personality of students and build better citizens for tomorrow”. 2. To start various educational courses for academic, co-curricular and overall development of students and staff. 3. To bring continuous improvement in performance on basis of the feedback from all the stake holders (students, parents, faculty, management, employers, concerned authorities). 4. To build resource pool of alumni, ex-staff, donors and well wishers. 1. To make the higher education available to the rural students and students of the weaker sections of society. 2. To provide quality education and innovative learning practices to develop the multi-dimensional personality of students to help them to grow as responsible citizens of society. 3. To spread the knowledge of commerce and management and to emphasize upon its practical use. 4. To undertake extension services to promote socio-economic and cultural development of the rural in particular and society in general. 5. To mould the learners to make them confident and supportive to their family, society and nation with their awareness and access to latest knowledge.